“Hey mom! 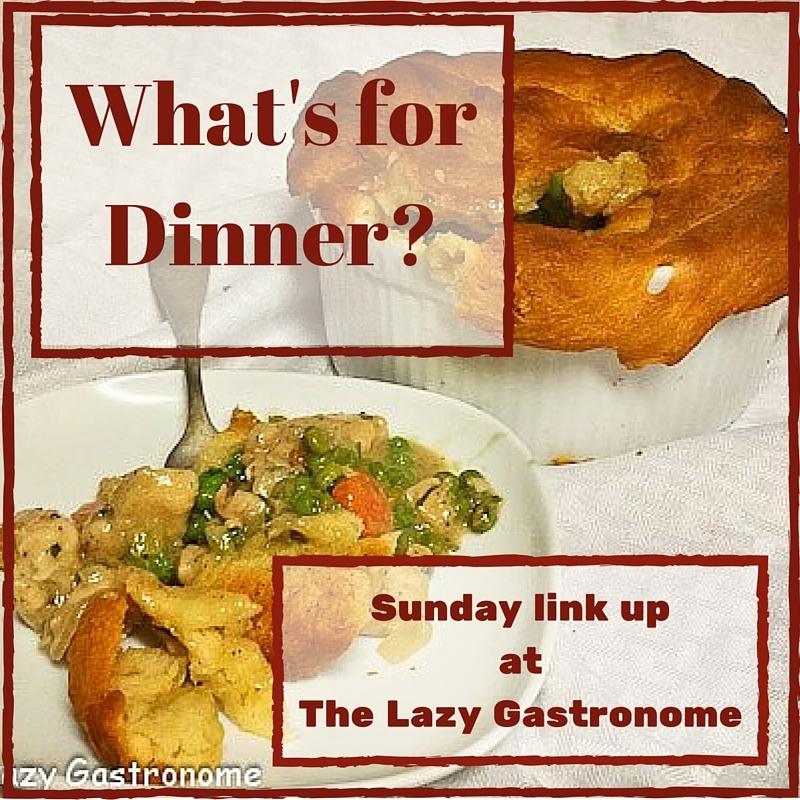 What’s for Dinner?” You’ve heard it – then you wonder, what is for dinner…. Well here is the place to find the answers to that age old question! Share your latest and greatest recipes here – All meal or food related, family-friendly posts are invited! Feel free to post linkys that are food related as well! (Sadly, non food posts will be deleted). Here are four amazing recipes from last week – and there were SO many! The most visit recipe was this amazing No Bake Pumpkin Cheesecake from DelightfulEMade – I mean, just look at this – and you don’t even have to bake it!! And as long as we’re having dessert first, how about Marilyn’s Treats Cheesecake Chocolate Chip Cookie Bars – oh yeah!! OK – so I guess we really should have dinner. How about a Super Simple Salmon and Tuna Sushi Bowl? The Professional Mom project shows us how! Now Quick! Tell all your friends (on facebook and twitter and anywhere else!) about the great recipes people are posting – and stop by and visit them. There are only three requests – Please Only food related posts! Recipes, food review, even linky parties that focus on food -If it is about food, please share it! (Sadly, non food posts will be removed). This entry was posted in Blog Hops and tagged blog hop, blog party, bloggers, collection, link party, link up, recipe collection, recipe sharing, recipes. Bookmark the permalink. Thanks Courtney – and thanks for joining the party! I’m going to have to look in to that hazelnut starbucks drink remake! It looks good doesn’t it?? And that’s my problem with hosting this party – SOOO many really tasty things I want to try!! Thanks for hosting and happy Sunday! Right back at ya Jas – thanks for coming to the party! Thanks Marci – and thanks for joining the fun! Thank you for the feature! Thank you for hosting! Remember when you do your best you can’t ask for more! Have a great week Marilyn! Thanks for the party. Wishing a wonderful week ahead..
Hi Journa! thanks for visiting – have a fabulous week! Another great round up. Thanks Helen! Thanks for joining us again Heidi! Just realize I forgot to link up! 🙂 Have a Great Week!! LOL – Thanks Angela – you have a fabulous week as well! Thanks for inviting me to your link party! So many yummy recipe ideas here. I look forward to trying several of them. So glad you joined us!! You have some great recipes to share! Great party! I linked up 1 post (Cocktails to Mocktails) then I commented and shared 2 more! Thanks for visiting #overthemoon! Thanks for visiting!! Can’t wait to go see what you posted!